MSJDN has received invaluable support from partner organizations in fulfilling our mission. MSJDN is thankful for support from the Military Officer’s Association of America (MOAA). They believed in our mission in the early days and were generous in their support of a spouse-led organization. We also received support from the National Military Family Association and the National Conference of Chief Justices following the February 2012 resolution supported by the ABA Commission on Women in the Profession, which was adopted at the ABA House of Delegates supporting changes in state licensing rules for military spouses with law degrees. MSJDN is also a proud participant in the Military Spouse Ambassador Network through the Department of Defense Spouse Education and Career Opportunities program. 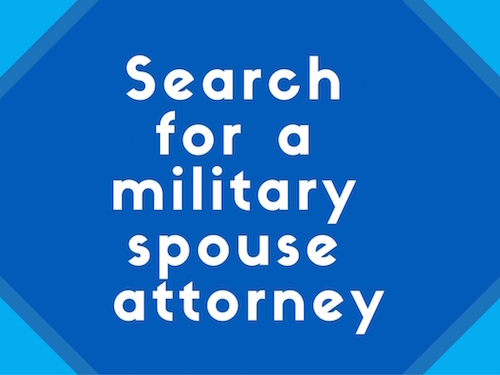 If you are interested in partnering with our organization to support military spouses, please contact us at info@msjdn.org. Consider becoming a Founding Sponsor – find out more here: MSJDN Founding Sponsors Program.